In the high-stakes biopharmaceutical industry, artificial intelligence is now an essential enabler for everything from drug discovery to fraud detection. The challenges don’t stop there. Biopharma companies are wrestling with enormous and ever-growing amounts of data stemming from genomics research — data that is doubling every seven months, according to TATA Consultancy Services.2 All the while, regulatory requirements are becoming more onerous and more costly with each passing year. These are just a few of the challenges that are prompting biopharma companies to make artificial intelligence an integral part of their processes. And we’re not talking about just the biggest players in the industry. Biopharma companies of all sizes and stages, including start-ups, are now using AI to streamline processes, reduce time to market and contain the costs of doing business in a very expensive industry. Biopharma companies have many opportunities to exploit AI to enable drug discovery, accelerate clinical development and commercialization, and improve processes. Let’s look at a few of the more common use cases. 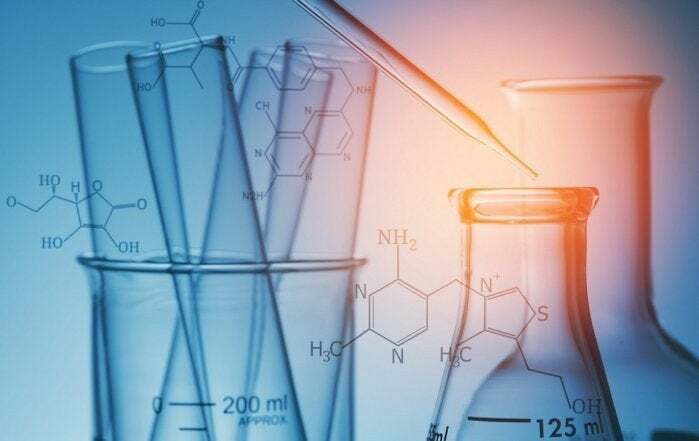 Drug discovery — Biopharma companies are always looking for technologies that help them reduce the expensive and lengthy process of drug discovery. AI is one of those technologies. With AI, biopharma companies can leverage algorithmic techniques and natural language processing with visual analytics to reduce the time required to take a drug from hypothesis to production. AI enables companies to correlate, assimilate and connect existing datasets more rapidly to create hypotheses, test compounds, perform clinical trials and repurpose existing drugs. Efficacy improvements — With its ability to quickly churn through massive amount of data, AI is emerging as one of the keys to improving the efficacy of drugs. With an eye toward more effective drugs, biopharma companies are exploring the capabilities of AI to combine genetic and other patient data to better understand disease processes, design drugs for their treatment and test side effects. Personalized/precision medicine — The biopharma industry is racing to develop effective, safe medications and doses that can be tailored to variations in a person’s individual genes. One of the keys here is the ability analyze the human genome, detect abnormalities and then develop precise, personalized treatments. This process requires the power of AI to mine through massive datasets. AI enables the manipulation of genetic materials for drug discovery based on individual health data paired with predictive analytics to determine which approach is likely to work best for a particular patient. Mobile coaching solutions — All biopharma companies want to achieve better patient outcomes — that’s their primary goal. AI-driven mobile coaching solutions can help in these efforts. With AI, biopharma companies and healthcare providers can use real‑time analysis on streaming data from Internet of Medical Things (IoMT) health monitoring devices to advise patients on when to take medications and to predict the risk of negative health events. These “beyond the pill” solutions empower patients to assert more control over the management of their own healthcare. Fraud detection — AI is emerging as one of the keys to reducing fraud and drug abuses. Biopharma companies can now use AI to detect fraudulent claims and assess member risk by visually mapping patients, providers, pharmacies and claims to groups of claims that indicate unusual behavior. This is growing in importance as state and local governments are increasingly seeking to hold drug companies accountable for drug abuses. Speed is essential in the fight against rare diseases. Families need answers. People need treatment. These are among the goals of the Translational Genomics Research Institute (TGen) and its Center for Rare Childhood Disorders, a Phoenix-based research and treatment center. Drawing on the power of AI and machine learning, TGen’s precision medicine explorations bring better treatments to more patients. The institute takes discoveries in the lab and translates them into treatment quickly and effectively. This work requires being able to manipulate massive quantities of data processed in intelligent systems that can incorporate AI and machine learning capabilities. As healthcare costs spiral higher, the biopharmaceutical industry is under increasing pressure to improve patient outcomes while containing healthcare costs. AI is one of the keys to meeting these goals. With AI systems, biopharma companies can reduce the costs and timelines for drug discovery, increase the odds of a drug’s success, develop more targeted and personalized therapies, and more. These advances can have a major impact on a company’s bottom line — while making healthcare not just better but more affordable. 1 Frost & Sullivan, “Artificial Intelligence Is Propelling the Pharmaceutical Industry by Enabling Smart Drug Discovery Solutions,” December 17, 2018.